The new Twin Power SW-B features a Shimano Hagane body and main gear with X-Ship technology. This combination produces the strength and power needed for extreme saltwater fishing, especially when fishing for large, hard fighting species. X-Shield and X-Protect are used throughout the Twin Power to provide excellent water resistance and the powerful drag is controlled by X-Tough carbon washers for totally reliable performance. 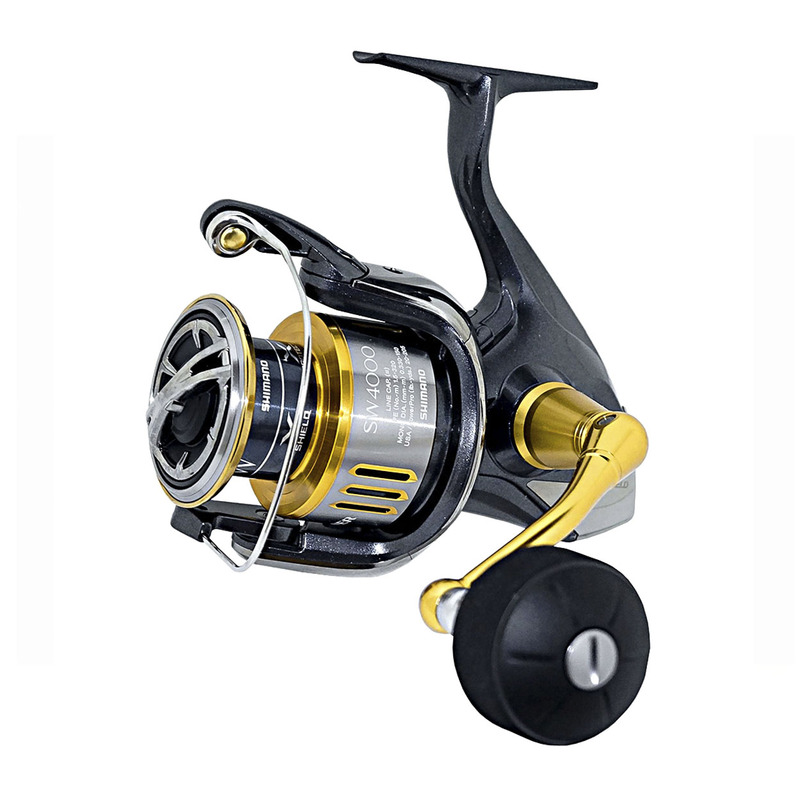 Although designed as a saltwater reel, this model also makes an excellent reel for heavy duty freshwater species like catfish. The drag system of the new STELLA SW has advanced enormously in terms of toughness, smoothness and performance. The basic drag performance has been extensively reviewed and each of the metal and carbon drag washers show excellent heat resistance and durability. Through an indepth study of the thickness and frictional force of each component within the drag system, the best combinations for optimum performance parameters have been found for each model and size. Further, the structure supporting the middle surface of the spool, from both the top and bottom, efficiently disperses the load, securing a smooth and stable drag force. Inside the drag knob, a coiled wave spring is mounted to allow anglers to make fine adjustment, even when under a heavy load.